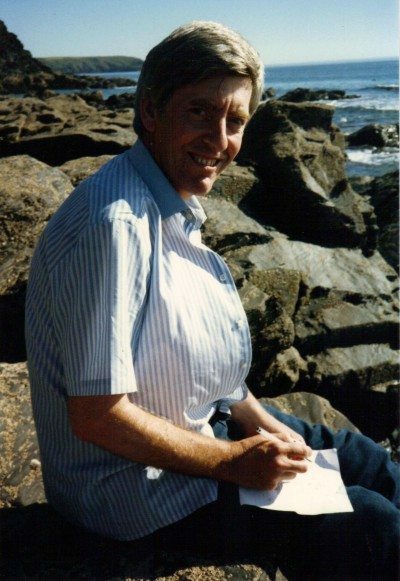 Photo of Nicholas Hagger writing a poem, 'The Church of Storms', in Gunwalloe, Cornwall, 18.8.1989. Five years earlier to the day, 18.8.1984, he wrote 'Sea Force', a sonnet (see below), also at Gunwalloe. And dashes where I sit like Olympian Jove. Splashing with surf, thundering from the curl? The endless boom and roar of life’s tidal force.